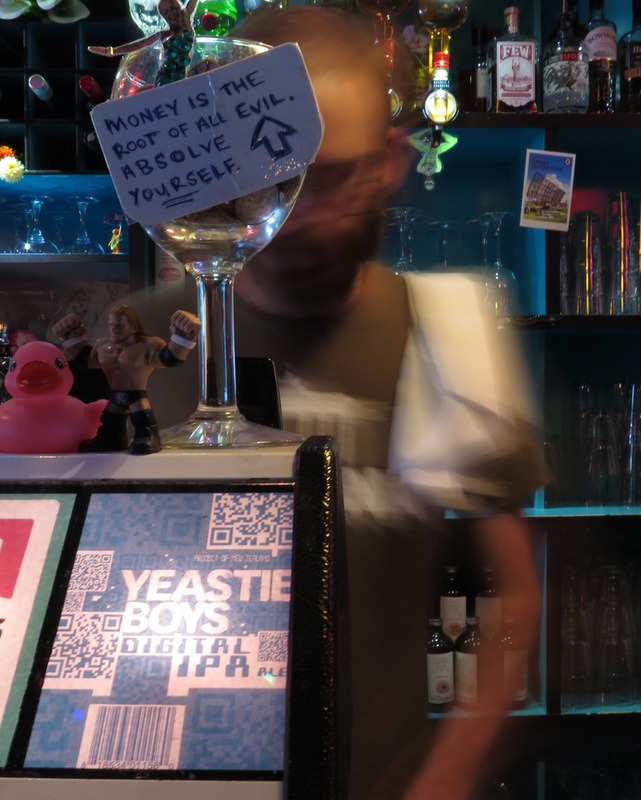 This past weekend, the local — i.e., Wellington, but also New Zealand more generally — beer community exported one of its stalwarts, Stu McKinlay,1 best-known as a founder and large fraction of the Yeastie Boys. I first met him back in my Malthouse bartending days, at the debut of Pot Kettle Black, and it’s been excellent knowing him since. He was an early giver-of-encouraging-nudges to this very Beer Diary project, is officially a Friend Of The Show, and can frequently be found here disproving the old maxim of Don’t Read The Comments. I’m very much on board with his broader philosophies of beer; our disagreements are the quibbling-at-the-margins that happen among comrades. You never worry that he’s an opportunist, an interloping con-man, or anything other than a True Believer — he’s a proper mensch. After this January’s massively-successful crowdfunding push (no need for a disclaimer, here; I’m not among their new investors), Stu’s off to arrange for the UK-based production and from-there distribution of their beers, starting with Gunnamatta and Pot Kettle Black. Contract brewers from day one — with no pretensions to have or intentions to build a “bricks and mortar” HQ — they’ve found themselves freer to sidestep some of the annoying and complicated business of exporting and simply produce beer closer to its intended market. I find this kind of ‘Distributed Republic’2 model really appealing, not least because it lessens the shipping-around of masses of water and packaging materials. And this is altogether a more-promising example of the phenomenon: morally better than Stone’s recent and rather-disingenuous ‘campaign’3 to build breweries on the far U.S. coast and in Europe, and more loud-and-proud than ParrotDog and Panhead’s current contracting of keg beer in Melbourne for Australian consumption. So here’s to good people making good money from good beer. And to a homegrown business expanding out into the world in a new, interesting and authentic way — not by resorting to distasteful nonsense,4 nor by subsuming itself within an existing conglomerate.5 I hope locals will raise a glass of beer (or a cup of tea, or a dram of whisky, since they’d all be appropriate)6 to toast their progress and speed Stu on his way. Please do look after him for us, Englishpersons and Other Antipodeans. I’m sure you’ll enjoy his company — in both senses of the word.